The gift you can send with pride. These perennial Harrington's favorites are certain to delight everyone on your holiday list and are also a great value! Includes: 6 - 7 lb. 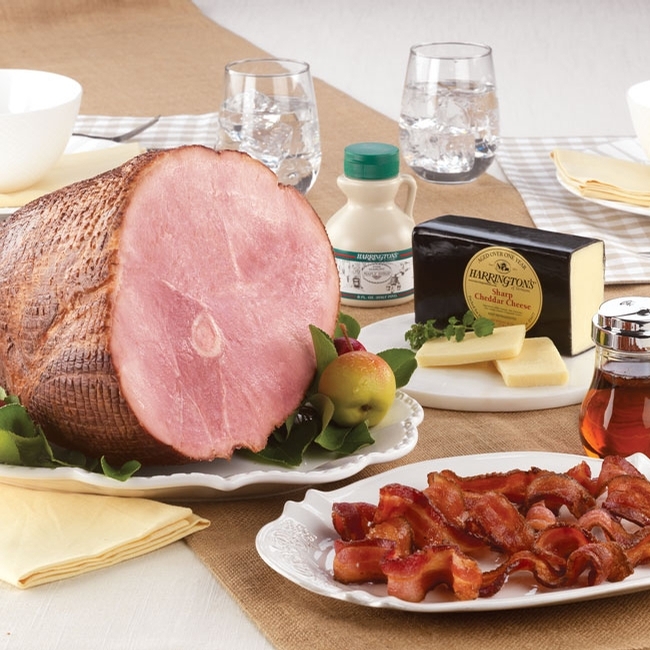 Ready-to-Cook Corn Cob Smoked Ham, 1 lb. waxed brick of special Cheddar Cheese (carefully aged for exceptional taste), Half-pint jug of pure Vermont Grade A Maple Syrup, and 1 lb. of our renowned sliced Corn Cob Smoked Bacon.